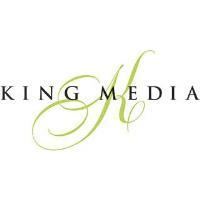 ST. JOSEPH, MI – Local marketing and advertising agency King Media is the PR News Boutique Firm of the Year, winning one of the highest honors at the PR News Platinum PR Awards. Competing against East and West Coast firms, King Media was honored for their commitment to research-based strategy, compelling creative and flawless execution for clients in every industry. King Media is a full-service marketing, advertising, public relations and digital media agency with a special talent for building brands and executing effective strategies. King Media has two offices – St. Joseph and East Lansing – with a coast-to-coast footprint. Additional services and case studies can be found at KingMediaNow.com.